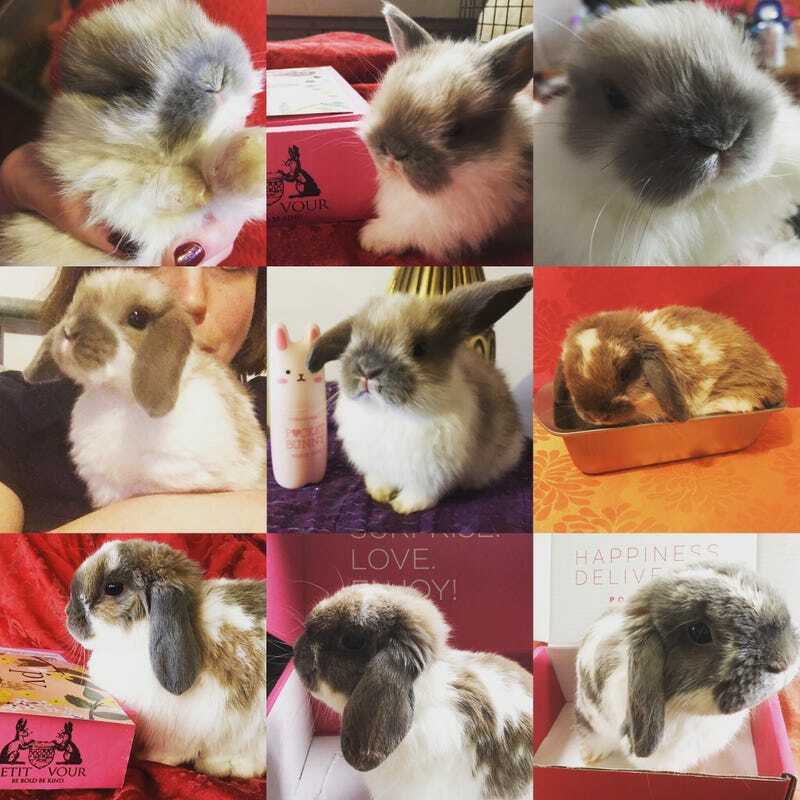 Happy birthday to my number one bun, the fabulous Mr. Emmett! I’ve met a lot of bunnies over the past year and a half and this is the one that has stolen my heart. Who knew that a bunny could get so excited when its person walked into the room? You’d think Emmett was a dog if you saw the way he acts whenever he sees me! All he wants to do is hang out with me and give me kisses and, of course, hump his stuffed animal friend when he is not hanging out with me. This little guy is something else and I feel so lucky to have had him in my life this past year. Here’s to many more years with my amazing Emmett bun. You’ve watched Emmett grow up over the past year on Fur Face Friday posts, so he wanted to share his birthday celebration with everyone here.